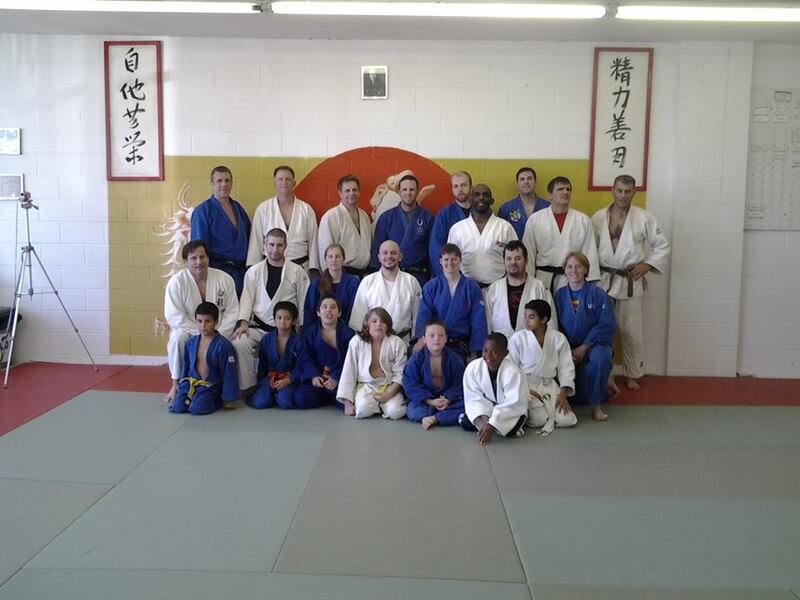 2008 Olympian, Ryan Reser conducted a judo clinic at White Dragon Judo Club on October 26, 2013. There were 2 sessions for this clinic. The morning session was open to juniors and seniors and the afternoon session is for seniors and masters players only. Mr. Reser demonstrated techniques that were unique but very helpful to members of White Dragon Judo Club. The Olympian was very technical and explained the importance of good kumi kata. Sensei Reser showed how techniques and movements could be executed without the gi. This clinic was well attended and everyone got a good workout. It was a huge weekend of judo on the weekend of September 21-22, 2013. The All Women’s and Rock and Roll Tournament took place at the CloverleafCommunity Center in Lodi, Ohio. Derick Wellman and Randy Pierce help officiate the contests and Andrew Lazarz took over the coaching reigns this weekend. 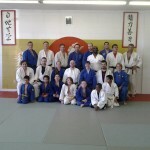 Jay Baker has been White Dragon Judo Club’s best kept secret for quite some time. Through dedicated and determined training Baker has developed into a crafty and precise judo player. Baker came out with a clever strategy, bewildering his opponent with numerous ashiwaza attacks and a sacrifice technique in his first match. He displayed a good ground game which earned him a second place finish for the day. The weekend belonged to Anna Feygina. Anna is ranked 6th in her weight class this year. The attorney laid down the law this weekend as she went undefeated. 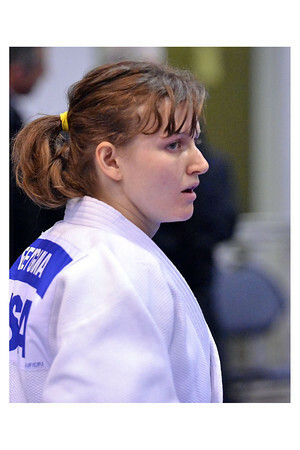 The judo goddess displayed a monstrous ground game that got her gold in every category that she competed in. Feygina’s game is heating up like last year. There is more to come from the judo phenom. Stay tuned.